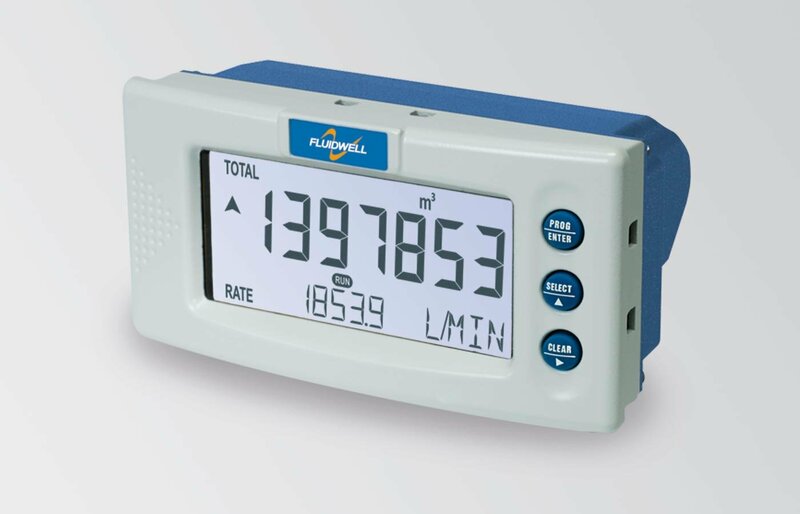 The D016 is a loca,l panel mount indicator / transmitter with linearization to display the actual flow rate, total and accumulated total. The total can be reset to zero by pressing the CLEAR button twice. 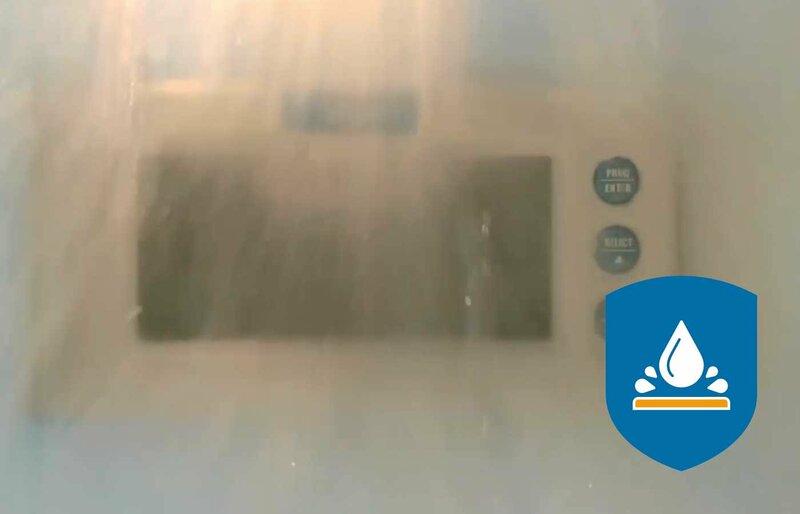 The eleven digit accumulated total however can not be reset to zero. In addition to the average K-Factor or Span, eight linearization points can be entered with there frequencies or values. The unit will interpolate between these points greatly enhancing accuracy in any flowrange. 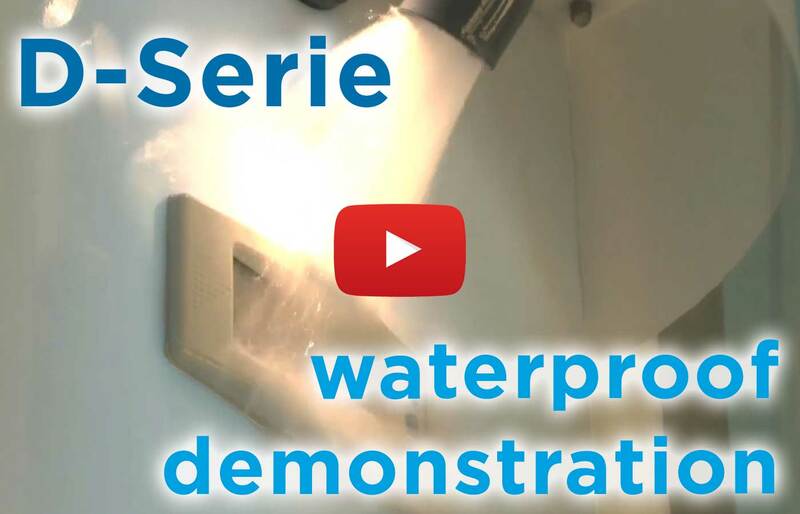 Even for very low frequency applications is catered for. 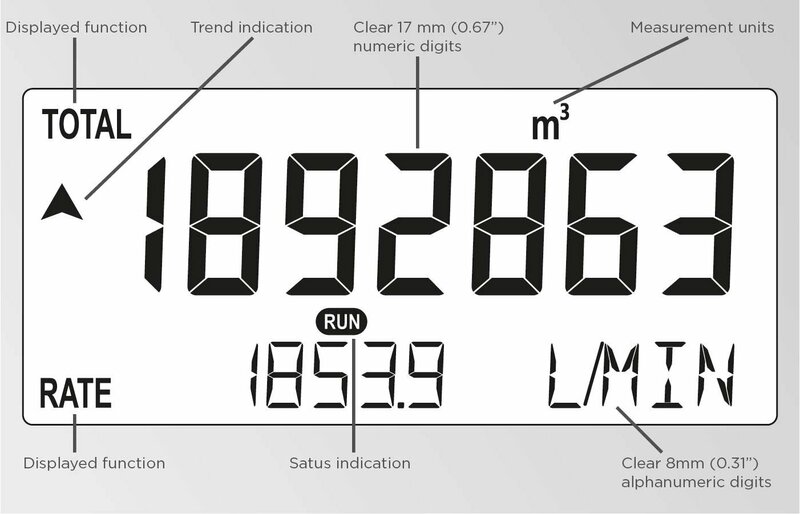 This linearization affects all displayed information as well as the pulse output. 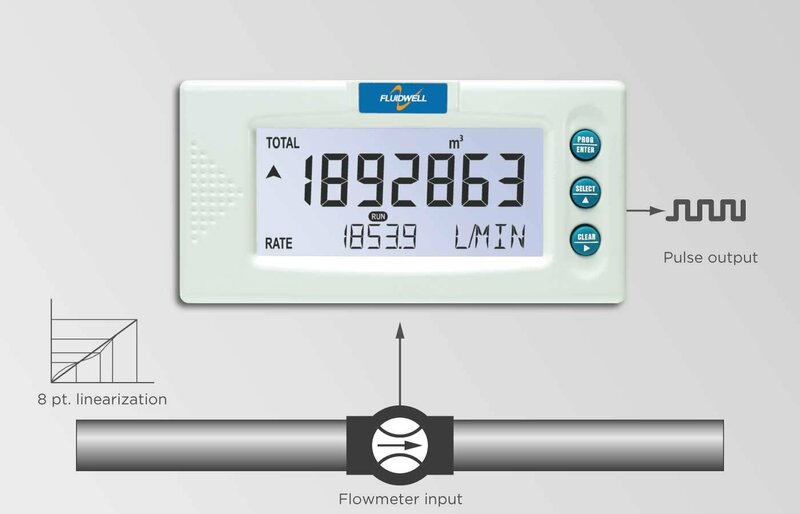 Displays flow rate, total and accumulated total. Eight point linearization of the flowcurve - with interpolation. Large 17mm (0.67") digits for flow rate or total. Ability to process all types of pulse flowmeter signals. The D016 fits in flow measurement applications with mechanical flowmeters where a precise calculation over the full measurement range is required and re-transmission of the totalizer function is desired. Function: Scaled pulse output according to linearised accumulated total (e.g. one pulse every 3.25 gallons). Type: One passive signal output, an active signal output or a robust, highly isolated (NO/NC) relay.